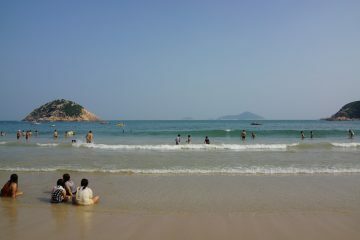 Shek Tong Tsui has changed a lot in the last two years. Not long ago, it was a local neighbourhood with a combination of quiet corners and teeming streets. Now, with the arrival of the MTR, it has become a destination for new shops and eateries, along with pop-up markets and weekend events. A certain entrepreneurial spirit fills the air. 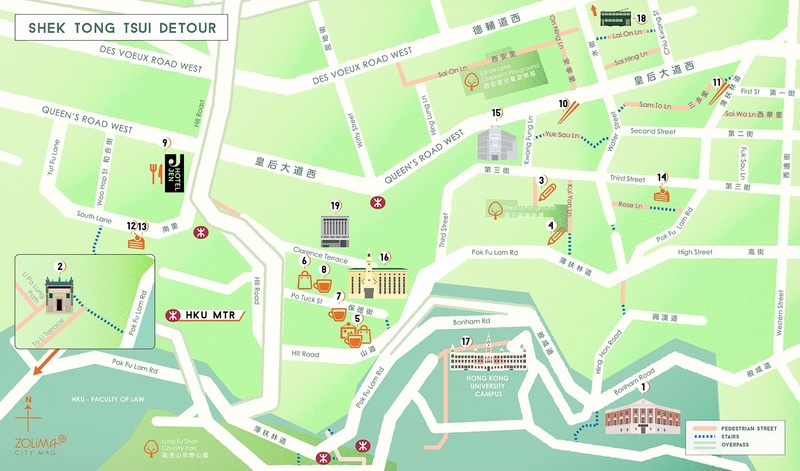 It’s easy to overlook Shek Tong Tsui, which is halfway between Sai Ying Pun and Kennedy Town. 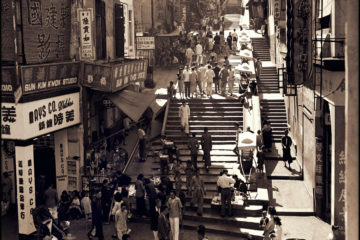 Not only is the local MTR station named after the nearby University of Hong Kong, rather than the neighbourhood itself, the small streets that give Shek Tong Tsui its character are hidden on the slope around Hill Road, away from the bustle of Queen’s Road and Des Voeux Road. Nearby landmarks include the large Shek Tong Tsui wet market, the Whitty Street tram depot and the snake-like flyover on Hill Road. The neighbourhood’s name was derived from a quarry that once existed nearby; sek6 tong4 zeoi2 (石塘咀) literally means stone pond mouth. Hakka people came there as early as the 17th century and were the first to quarry the granite in the area. Demand for Hong Kong’s abundant natural granite kept increasing over the years, eventually becoming one of its most important commodities. The quarrying industry flourished and Shek Tong Tsui had become a permanent settlement by the 1880s. Its next phase of life came in 1903, when a fire devastated several of the legal brothels in Sheung Wan. Governor Matthew Nathan ordered their relocation to Shek Tong Tsui, which became Hong Kong’s red light district. These were its glory days, buzzing with all sorts of people involved in the quarrying business, along with workers, sailors, traders and affluents Chinese who came for entertainment. Numerous gourmet Cantonese restaurants, operas and opium dens were founded. The golden age came to an end when brothels were banned in 1935. Six years later, the Japanese invaded Hong Kong. 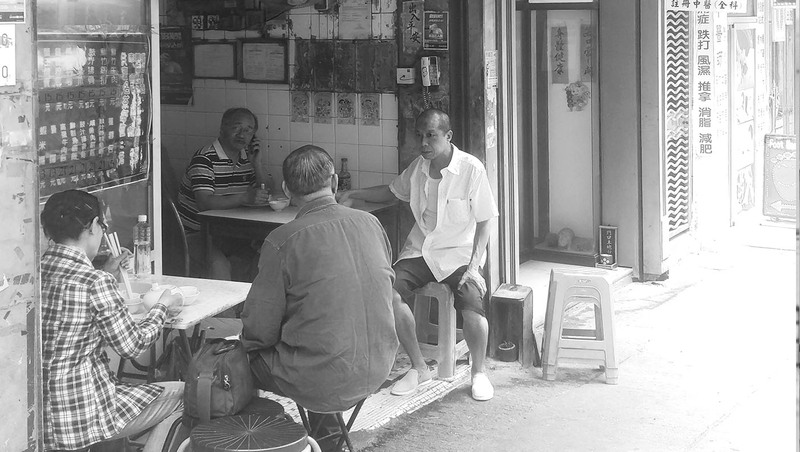 After the Second World War, Shek Tong Tsui’s frivolous past was washed away by decades of urbanisation. It became a quiet, modest area. Immediately above the neighbourhood, on Bonham Road, the University of Hong Kong (HKU) was founded in 1911, becoming Hong Kong’s first tertiary educational institution, with British-style courses in liberal arts, engineering and medicine. Today, students from around the world attend the university, giving Shek Tong Tsui a youthful, inquisitive and creative vibe. 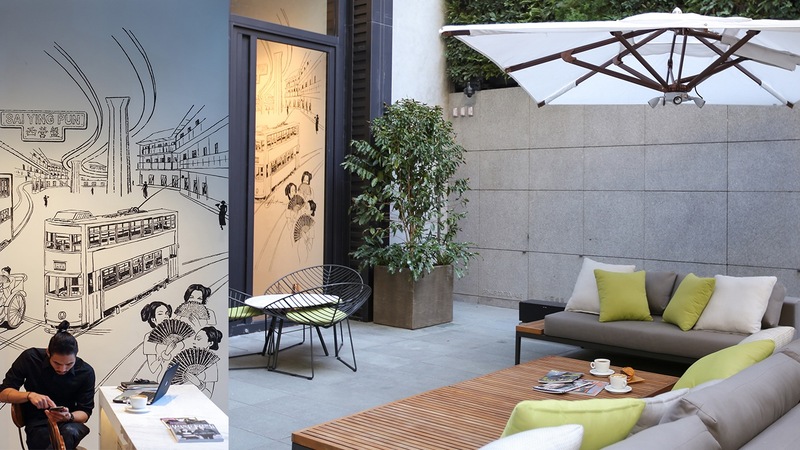 With the opening of the MTR’s new West Island Line extension in 2015, the neighbourhood has developed into a charming spot with cafés, restaurants, workshops and design studios. Located near HKU’s East Gate, the university’s museum and art gallery is home to a permanent collection of more than a thousand Chinese antiquities, including ceramics, carvings, paintings and a dedicated tea gallery. The old building has a peaceful and quiet atmosphere, befitting both a museum and an historical academic institution. Supported by donors, artists, collectors and the university itself, the museum is open to the public for free. Workshops, lectures and panel discussion are also held there on evenings and weekends, covering topics from Japanese lacquer to Flemish tapestries. Ching Lin Terrace and Li Po Lung Path The area around the old Shek Tong quarry is filled with quiet streets dotted by small altars, but one temple stands out. 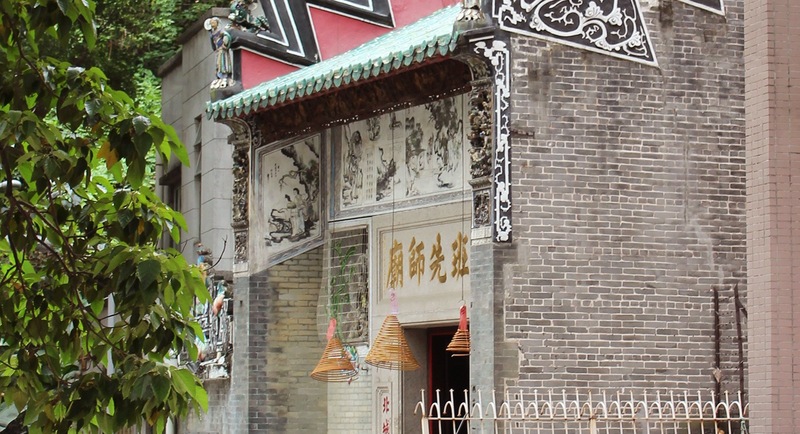 Lo Pan Temple is a Grade I listed historic structure dedicated to the god of carpenters and builders. 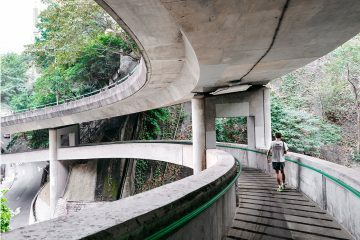 You can reach the temple from a set of stairs that runs down from Pok Fu Lam Road, or the charming series of pedestrian-only residential streets that climb the hill above Belcher’s Street in Kennedy Town. Lo Pan was one of the legendary thinkers of ancient China, himself a respected carpenter, engineer, philosopher, inventor, military strategist and statesman. In 1884, the Contractors Guild raised donations from 1,172 craftsmen and builders to raise a temple in his honour. The building was acquired in 1921 by the Kwong Yuet Tong, a builders organisation that still runs and maintains it today. This superb little temple showcases various traditional crafts in its construction. Jagged black and white gable walls are built in a traditional Hunanese style called “Five Famous Mountains Paying Tribute to Heaven.” The sharp, exaggerated form gives way to a façade covered in detailed, colourful sculptures, and inside, the temple contains wall paintings and murals depicting animals, people and nature as well as engravings of poems on the sides of the main door, that celebrate Lo Pan’s contribution to architecture. Normally quiet, the temple explodes with activity on Lo Pan’s birthday celebration (the 13th day of the sixth Chinese lunar month), when crowds of construction workers pay homage to Lo Pan and seek blessing from their patron. 192 Third Street. Open Monday-Friday, 11:00-19:00; weekends, 12:00-20:00. Tucked down an alley next to the Third Street Playground, Blank is a recent arrival that’s worth searching out. 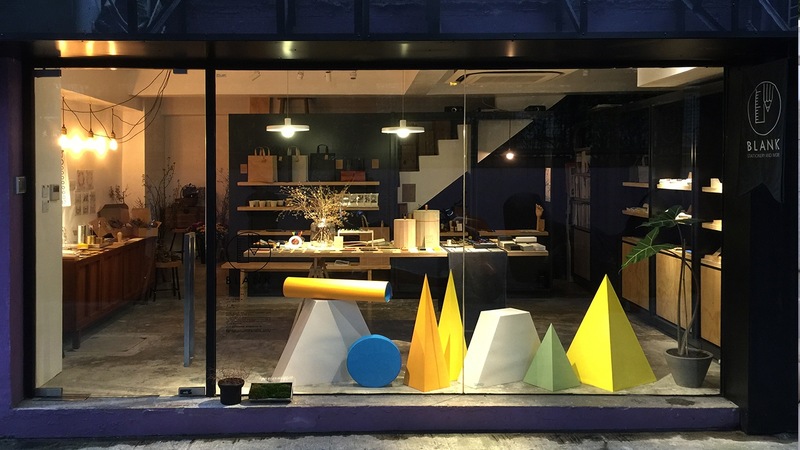 Founded by two Hong Kong architects, Tim Cheung and Vanessa Chik, the shop sells award-winning design stationery, including rubbers shaped for precise erasing and scissors that can be used equally well by both left and right-handed users. “We want to create a sensitivity to picking the right tools for daily life,” explains Cheung. Blank also offer workshops, like paper crafting classes and flower arranging, including some activities suitable for children. 41 Pokfulam Road. Open Monday-Friday, 9:30-18:00; Saturday, 11:00-17:00. Yan Ngai Art Shop has maintained its small but useful location close to HKU, despite the recent disappearance of tong lau walk-up buildings that are disappearing as old neighbourhoods like Shek Tong Tsui are redeveloped. While colour paper, sketch books, pencils and the like are available, Yan Ngai also stocks more specialist items like foams, modelling materials and giant sheets of acetate. The shop’s clientele include a range of architectural and planning students, as well as the design firms that are dotted around the area. 93-99 Hill Road. Open Monday-Friday, 12:00-22:00; weekends, 11:00-22:00. With 3,000 square feet of space at the top of Hill Road, Ethos brings together a shop, event space and café. 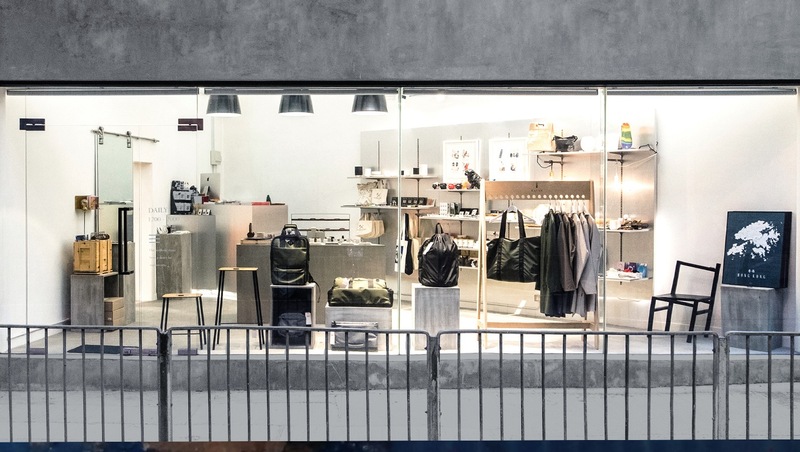 Co-founder Jacky Chan says the goal is to create “a progressive lifestyle platform that offers seasonal lines of apparel, cuisine, publications, home goods and events, housed within a creative free space.” Co-founder Tak Shing Lee carefully picks products from Hong Kong, Taiwan, Japan and Europe, creating a range of prominently modern and minimalist items, with clean forms in appealing materials. “We are open to any collaboration with partners sharing similar aesthetic concepts as ours,” says Chan. “We look at the products closely but we do plan to always have new products in store.” Ethos also seeks out collaborations with design brands it admires. 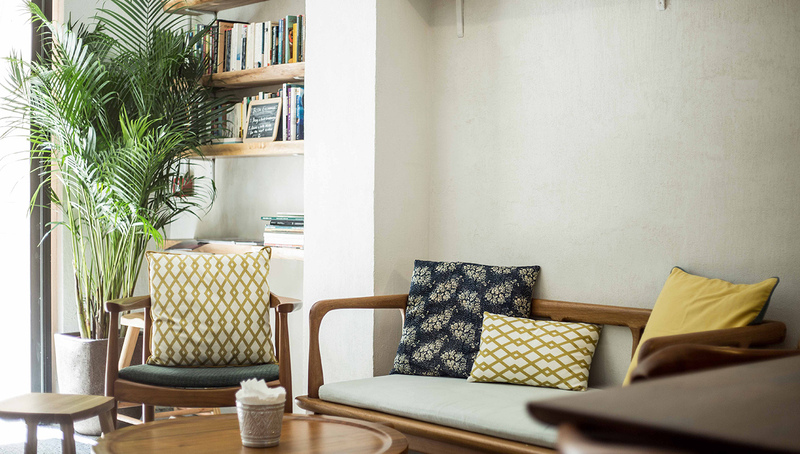 Chan says Shek Tong Tsui is the perfect home for the business because of its quietness, which invites freelancers, nearby residents and students from HKU to peruse the shop and work from the café. 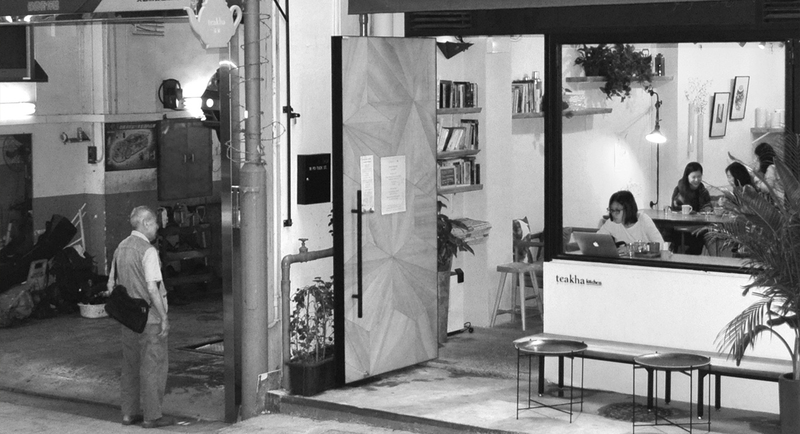 Pop-up events like The Print Market attract visitors from around Hong Kong to browse and hang out. 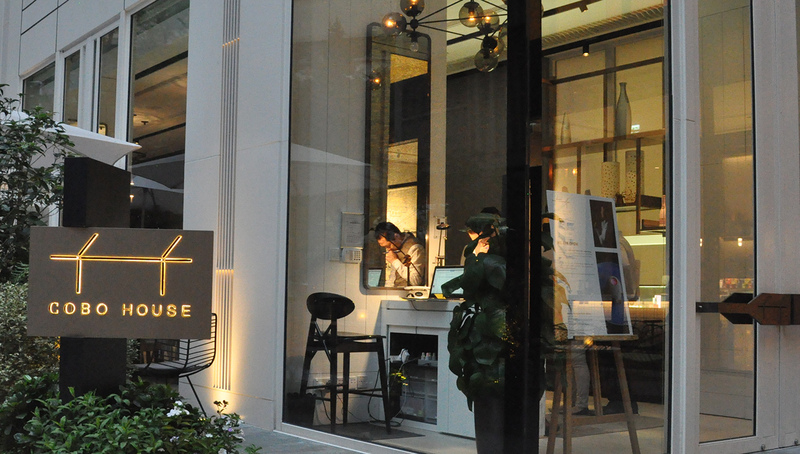 The café serves Western food alongside craft ales like the yuzu-infused Kagua Blanc and Hong Kong’s own Gweilo Beer. The front windows open up entirely, a great way to create an al fresco atmosphere in a city where outdoor city is hard to come by. 14 Po Tuck Street. Open Tuesday-Friday, 11:00-19:00; weekends, 12:00-18:00. 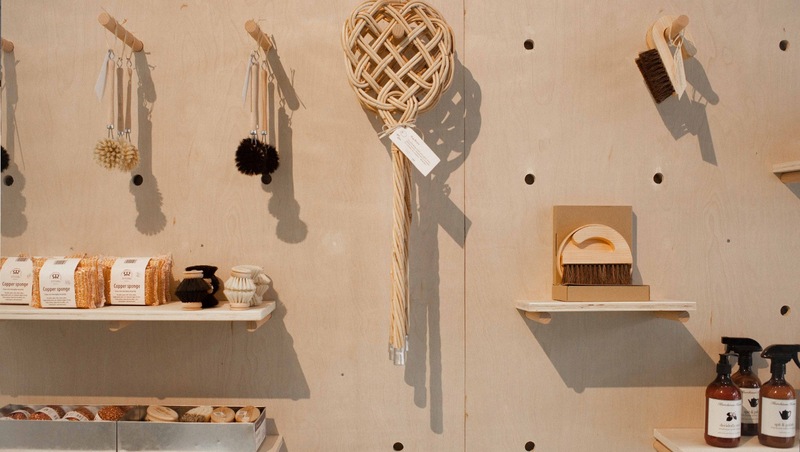 Get.Give sells a range of items perfect for gifting, with unique ceramics, kitchen items, luxury eco-friendly products, candles, soap and more. 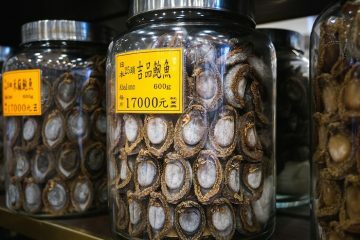 Just to describe it doesn’t do it justice; visiting the shop and seeing the items on display is a far better experience, especially when so many of them are so fragrant. With the idea of getting rid of the “gifting guilt” that comes from giving away wasteful products, the shop stocks only environmentally-sound goods, with eco-friendly, reusable gift-wrapping. It also offers a mail order service. 27 Po Tuck Street. Open Monday-Friday, 10:00-19:00; Saturday 11:00-18:00; Sunday by appointment only. An acronym for Shoes, Art, Painting, Handcraft, Saph+ offers unique hand-painted shoes. 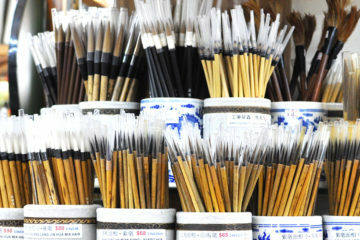 The shop was launched in 2012 by Simon Tang. “These shoes are created to bring lively, colourful, creativity to fashion, in a way that hasn’t been done before,” says Tang’s sister and marketing manager, Debbie Tang. “We bridge the gap between art and fashion by creating shoes that are works of art.” Providing options for both men and women, including Oxfords, walker boots, and natural leather slip-ons in natural leather based on Saph+’s own designs designs, the shoes are painted inside the shop itself. Simon and Debbie grew up in nearby Kennedy Town and had a good feeling about Po Tuck Street. “It’s quiet and peaceful for us to create and a relaxing and comfortable environment for our customers to browse in,” says Debbie. The new MTR station—entrance C2 is barely 100 metres away—makes the journey convenient for customers who come to Shek Tong Tsui just to visit this one store. Much larger than its sister branch, Teakha Kitchen maintains a relaxed ambience. “There are lots of cultural creatives in the area, as well as students, expats and freelancers,” says Chan. Offering a daily brunch menu that includes soup, pasta, eggs and pancakes as well as scones and cakes, Chan hopes to eventually expand Teakha’s offering to dinner. Whether you want to leave a book or take one, the book swap shelf by the door is worth a gander. Hotel Jen – 508 Queen’s Road West. Open daily, 6:30-midnight. Café Malacca is home to Singaporean and Malaysian hawker-style food. It’s clean, modern and smart without being overly formal. Completely un-announced due to its second-floor location inside the Jen Hotel (previously called Traders Hotel Hong Kong and Jen Hotel before that, which confuses many taxi drivers), Café Malacca is a hidden gem. While the atmosphere is consistent with a less formal hotel dining option, it’s the dishes like rojak, gado gado and laksa, with their authentic flavour and fair price, that have earned the restaurant a Bib Gourmand in the Michelin Guide for the last two years. 420-424 Queen’s Road West. Open daily, 12:00-15:00, 17:30-22:00. 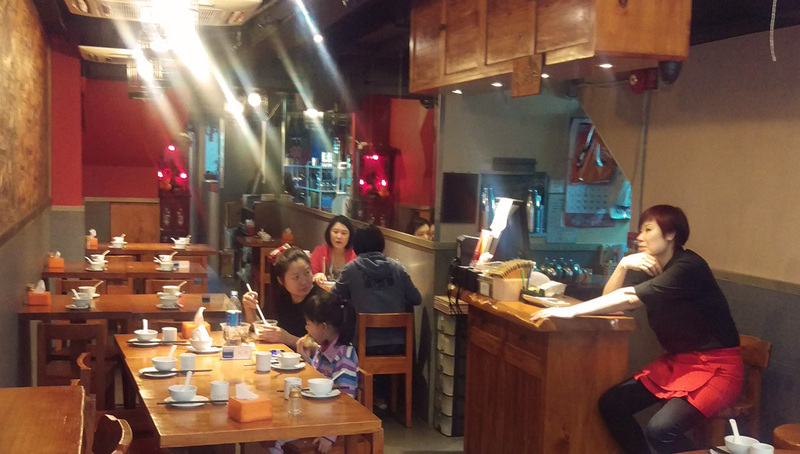 Particularly popular among HKU students, Café Hunan is perfect when you’re craving something spicy. It’s fairly small and gets busy in the early evening, when hungry students are looking for sustenance. The Yin Yang fish head dish is one of the most popular and it can sell out by 20:30, so arrive early. The shredded potato dish has a moreish sour vinegar flavour, which nicely complements the spicy heat of the fish. With wood paneling and a long Chinese painting on one wall, the space is cosy, though not that remarkable in appearance. It’s definitely the food that makes the place. 11 Pok Fu Lam Road. Open daily, 5:30-14:30. This dim sum joint has been around for decades. On a busy day, customers spill onto the streets, waiting in line, while others are seated at extra tables that are set up outside. There’s nothing fancy about Saam Hui Yaat, but as with many Chinese restaurants, it’s about flavour, not presentation or service. What this hole-in-the-wall restaurant offers is a truly traditional neighbourhood style of dim sum. For the most authentic experience, rise with the sun and be there with the first customers of the day. 8 South Lane. Open daily, 11:00-15:00, 18:00-midnight. Only desserts are served on weekends after 21:00 (daily during lunch and dinner). With a sidewalk terrace and a smart, modern interior, COBO House is a great spot for a sophisticated pampering session for those with a desire for desserts. Short for “COmmunity of BOhemians,” the restaurant is really about the desserts, despite serving savoury food too. Beautifully presented and combining flavours like yuzu, miso and pistachio, in sponge, foam, sorbet and meringue forms, the menu is divided between classics and contemporary dishes. COBO has partnered with Singaporean Janice Wong, named Asia’s Best Pastry Chef in 2014 by the San Pellegrino Asia’s 50 Best list. She’s the name behind Singapore’s successful 2am:dessertbar and she has selected ten of her favourite dishes to serve at COBO House. “I call it progressive desserts, because as chefs, we move around so much that our food uses inspiration and ingredients from all over the world – there are no boundaries,” she says. 8 South Lane. Open daily, 7:30-22:00. Next door to COBO is sister café, Artisan Room, which is a small spot offering pastries and savouries like quiche, along with craft beer, coffee and tea. One of the best things about this place is the comfortable outdoor seating area stocked with low-slung loungers, covered by large umbrellas and surrounded by greenery. 150 Third Street. Open Wednesday-Monday, 15:00-midnight. 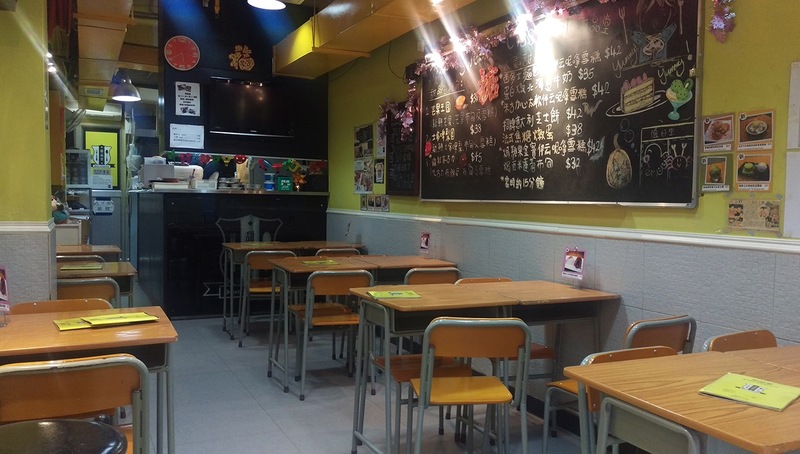 Sweet Classroom brings together Western and Chinese desserts under one roof. Furnished with school desk-style tables and a menu that looks like an exercise book, the interior is twee, but Sweet Classroom is popular with people of all ages. 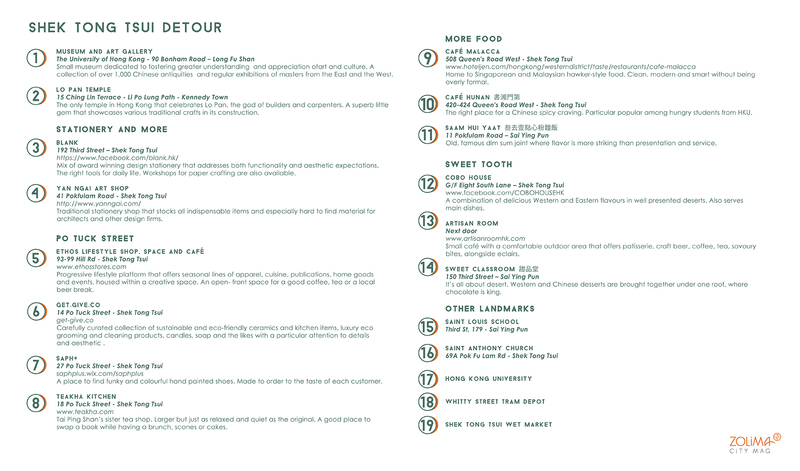 Favourites include a milk tea version of traditional double boiled milk (dan6 sin1 naai1 燉鮮奶) and a twist on French toast. Shaved ice is also popular here, with side options like “Yakult caviar” that pops in your mouth. If you have a hankering for chocolate, there are brownies and a chocolate mousse, but the chocolate lava cake is really worth the wait. 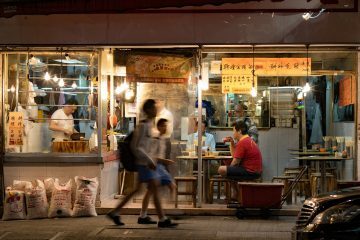 Often overlooked in favour of its more popular neighbours, Shek Tong Tsui is one of Hong Kong's hidden gems.